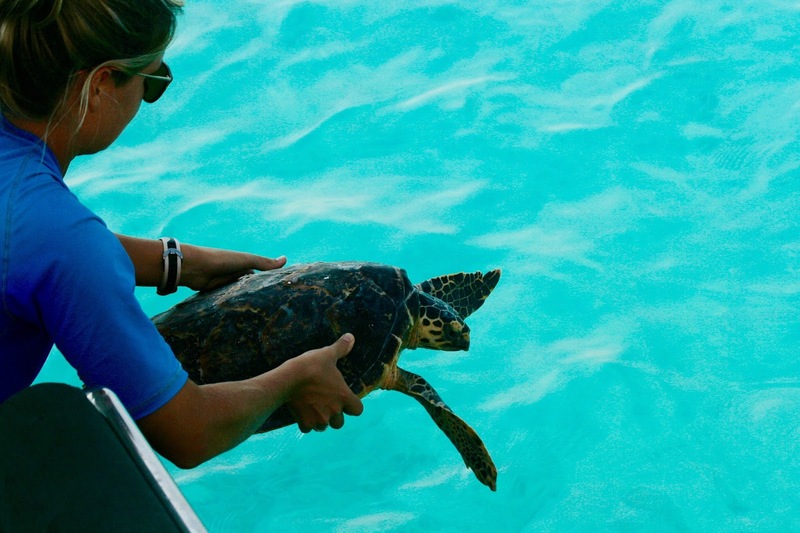 Gili Lankanfushi: Rescued turtle released after 4 months of rehab! Rescued turtle released after 4 months of rehab! 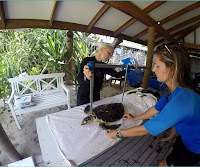 You may remember our team's turtle rescue back in September, documented in our blog post "Josie saves another Gili turtle". Remember how worried we were, that the little turtle wouldn't make it through the night? Well, following 4 months of rehabilitation, we are delighted to report that she has made full recovery and has now been released! The juvenile Hawksbill Turtle (Eretmochelys imbricata), named 'Gili' after where she was found, was in a critical condition, unresponsive to stimuli and extremely underweight. 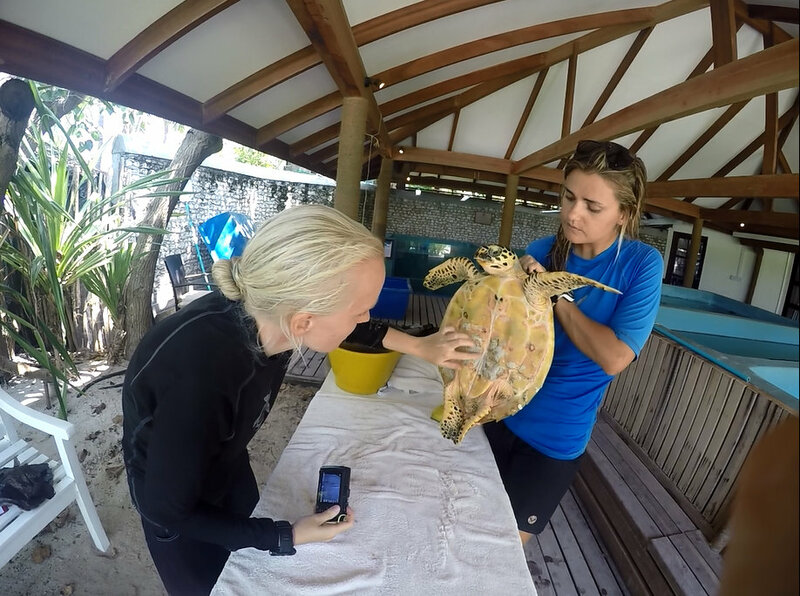 Our Gili Lankanfushi marine biology team sent her straight to the Four Seasons Rehabilitation Centre, where she has been cared for by an incredible team of marine biologists over the last 4 months. It was touch and go for the first month: She was not very energetic and putting on weight very slowly, despite being tube fed. But at the one month mark, we received a report that she was ready to move into a bigger tank. Typical of Gili to make us worry, once moved, she proceeded to lose all the weight she had slowly managed to put on and we were back to square one.. It took the biologists a week or so to get her used to the new environment and to encourage her to eat, and with a rich diet she was soon putting that weight right back on. She came into the centre weighing only 5826g, and left a hefty 2 kilos heavier! On the 6th of February, the day had come for Gili to leave the rescue centre and head back into the big blue! As Gili is a resident of Gili Lankanfushi's house reef, the team agreed that sending her back to us for release might help her settle back in, so that is exactly what we did. We joined the Four Seasons team to complete her final release assessment before whisking her back to Gili Lankanfushi for her big release! Almost 20 guests and hosts came to witness Gili re-enter her home and a round of applause went up as she swam away toward the reef. Check out our release video, put together by our Marketing team! Typical Gili- she got cramp in her back flippers during her release, which meant she treated our guests to a few back flips before swimming off properly..